The 68th annual Tony Awards ceremony is almost here! We’ve pulled together some frequently asked questions about this celebration of Broadway’s best so that you can find all of the answers in one place. When are the 2014 Tony Awards? Sunday, June 8, 2014 at 8PM EST. Where will the Tony Awards ceremony be held? Radio City Music Hall in the heart of Midtown Manhattan. 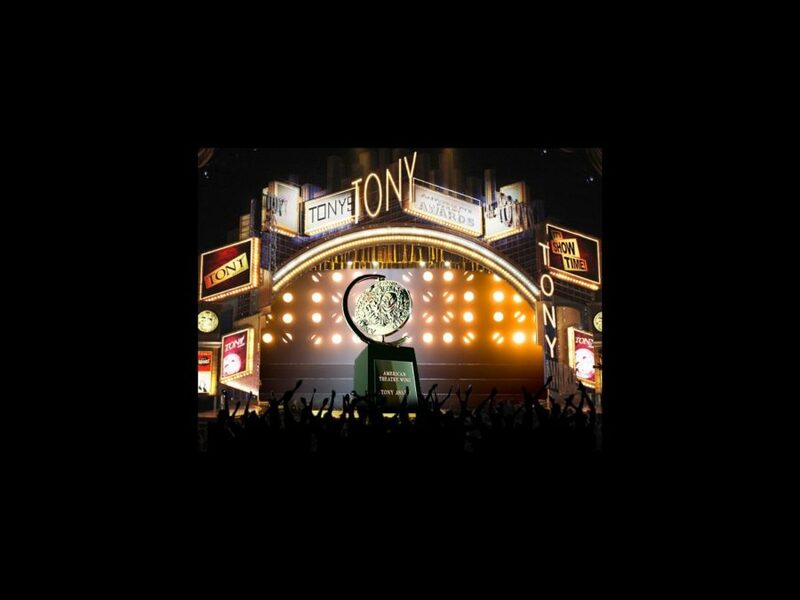 Who is the 2014 Tony host? Hugh Jackman! The Tony winner is hosting the ceremony for the fourth time, having charmed audiences in 2003, 2004 and 2005. Jackman starred on Broadway in The Boy from Oz in 2003, for which he won the 2004 Tony Award for Best Actor in a Musical. He also won a Special Tony Award in 2012 for raising almost $2 million for Broadway Cares/Equity Fights AIDS during the run of his solo show Hugh Jackman: Back on Broadway. The actor also appeared on Broadway in A Steady Rain in 2009. He will next appear on the Great White Way in The River, which begins performances on October 31 at the Circle in the Square Theatre. Jackman was Emmy-nominated for hosting the Tonys twice and won once (in 2005). How can I watch the Tony Awards ceremony? Tune into CBS from 8-11PM EST to see the presentation of the major awards and performances. If you are in New York City on June 8, you can watch a live simulcast in Times Square hosted by past Tony nominee Kerry Butler and Wicked star Justin Guarini. Can I watch the Tony telecast if I am not in the U.S.A.? The following international broadcasters will carry the show: CHCH in Canada, Film & Arts in Central and South American and the Caribbean, Sky Network Arts Channel in New Zealand, Foxtel Arena Channel in Australia, Wowow in Japan, ABS-CBN in Philippines and Armed Forces Network Television, which is available to the U.S. Armed Forces stationed outside of the United States. Check local listings for more info. Who are the 2014 Tony nominees? Click here for a complete list of the 2014 Tony Award nominees. Want to know the nominees’ deep dark secrets? Watch these videos. Who are the presenters at the 2014 Tony Awards? A starry roster of presenters and participants will include Kevin Bacon, Orlando Bloom, Matt Bomer, Wayne Brady, Zach Braff, Kenneth Branagh, Patricia Clarkson, Bradley Cooper, Fran Drescher, Clint Eastwood, Gloria & Emilio Estefan, Vera Farmiga, Will Ferrell, Tina Fey, Tony Goldwyn, Jonathan Groff, Anna Gunn, Maggie Gyllenhaal, Ethan Hawke, LL Cool J, Samuel L. Jackson, Carole King, Zachary Levi, Judith Light, Lucy Liu, Kate Mara, Audra McDonald, Leighton Meester, Alessandro Nivola, Rosie O’Donnell, Zachary Quinto, Emmy Rossum, Liev Schreiber and Patrick Wilson. What shows will be performing during the Tony Awards ceremony? As always, there will be plenty of singing and dancing on the telecast. The show promises appearances by the stars of the nominated shows, including divas Patti LaBelle, Gladys Knight and Fantasia Barrino with the cast of After Midnight, as well as the stars of Aladdin, Les Miserables, Beautiful, A Gentleman’s Guide to Love and Murder, Hedwig and the Angry Inch and Violet. The show will feature performances Oscar winner Jennifer Hudson singing a number from the upcoming Finding Neverland and Sting performing a selection from his upcoming musical The Last Ship. The evening will also feature performances from Cabaret, If/Then, Bullets Over Broadway and Rocky, as well as a tribute to Wicked, which is celebrating a decade on Broadway. Where can I find photos, videos and features about the big event? On Broadway.com, of course! Check in during and after the ceremony for a complete list of winners, photos, video and other highlights of Broadway’s biggest night. What fun stuff can I do during the telecast? Follow Broadwaycom on Twitter, Facebook, Instagram and Tumblr. You can also follow members of the Broadway.com team on Twitter: Editor-in-Chief Paul Wontorek, Managing Editor Beth Stevens, Features Editor Lindsay Champion, News Editor Imogen Lloyd Webber, Photo Editor Caitlin McNaney and Photographer Bruce Glikas.